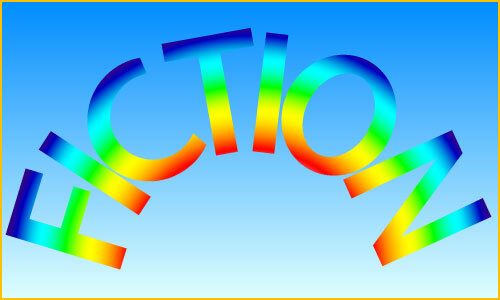 I was talking with a friend about creating a badge that could be used on books and blogs, maybe elsewhere, to indicate fiction which includes rainbow themes. I myself often write stories with characters who don’t conform to heterosexual and cis norms, but I would hesitate to describe my writing as, e.g., lesbian, bisexual, or whatever. Nor do I really see why I should issue a warning about such content, as if I’m admitting it’s wrong in some way. But ‘rainbow’ is a nice word, and heterosexuality and cis nature are as much a part of the rainbow as any other orientation or identity, so why not just warn the reader that the full spectrum of human nature is potentially in play. I give you the rainbow Fiction badge.